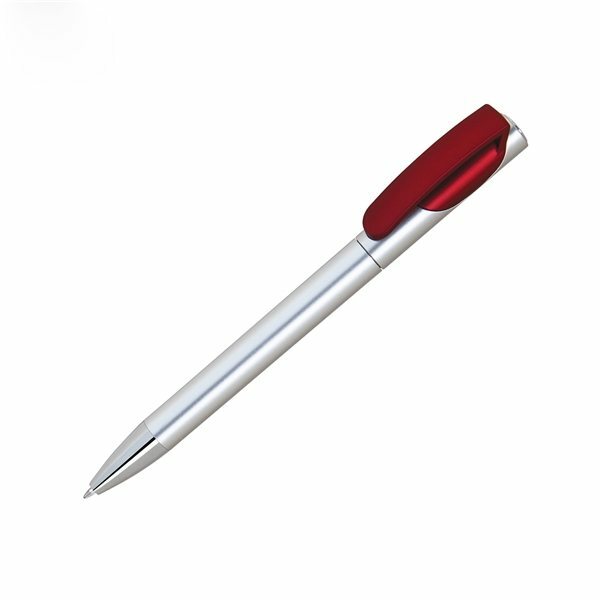 Economical plastic pen in silver with colored trim on clip. I liked the price . Graphics turned out good. We bought this for a school event and gave each student one. Out of 250. They were very economical, and the customization looked great.